Megan Fox was photographed wearing Junk Food the other day in Los Angeles. The Teenage Ninja Turtle 2 starlet looked causal as she ran errands in her Wonder Woman Fleece ($44, www.junkfoodclothing.com). 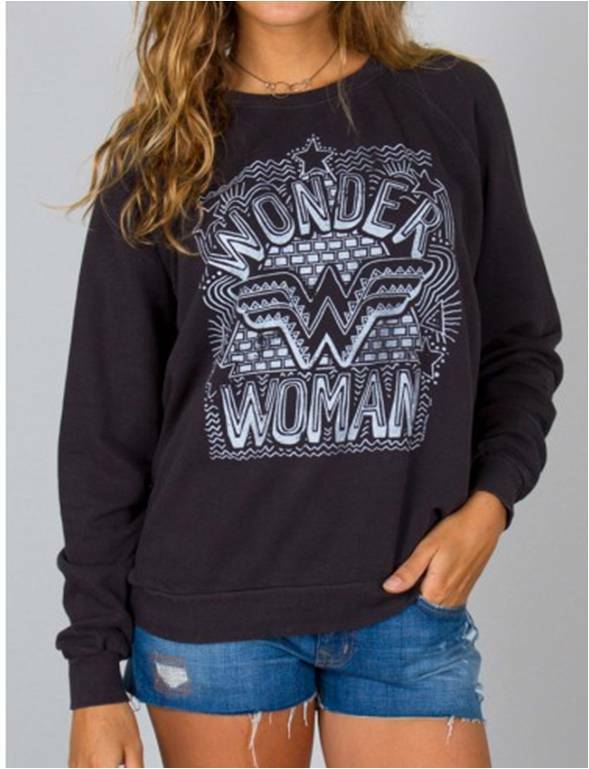 Below is the sweatshirt worn by a fashion model so that you can take a closer look.